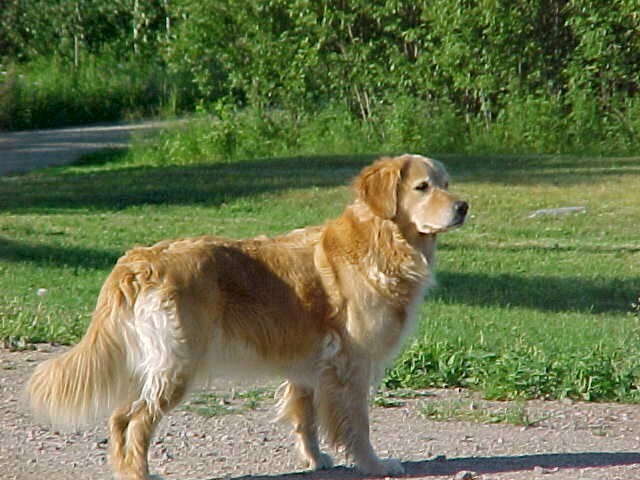 Simba, Our first Golden Retriever, our first love ! She loved her ball with a passion. She carried it everywhere with her. She offered it to anyone that came into our yard. From early morning to late at night, she was ready to fetch her ball. We would hide it from her, hoping she would forget it for a little while. We even began to spell the word : b-a-l-l, but she understood that very quickly. When we first got a snowblower, she just could not believe that we had gotten her a machine that would throw balls for her! At the cottage, she would bring us a rock and when we would throw it in the lake she would dive to the bottom and come back up with the rock ! In the house, she knew we would not throw the ball for her so she learned to roll the ball back to our feet with her nose. She loved lettuce, the pedal boat, her cushion by the front door, going out in the truck, the four wheeler or snow machine for a ride. But in the end, her fourteen years were taking a toll on her body and we had to make that very difficult decision to let her go. So long, dear friend, till we meet again. 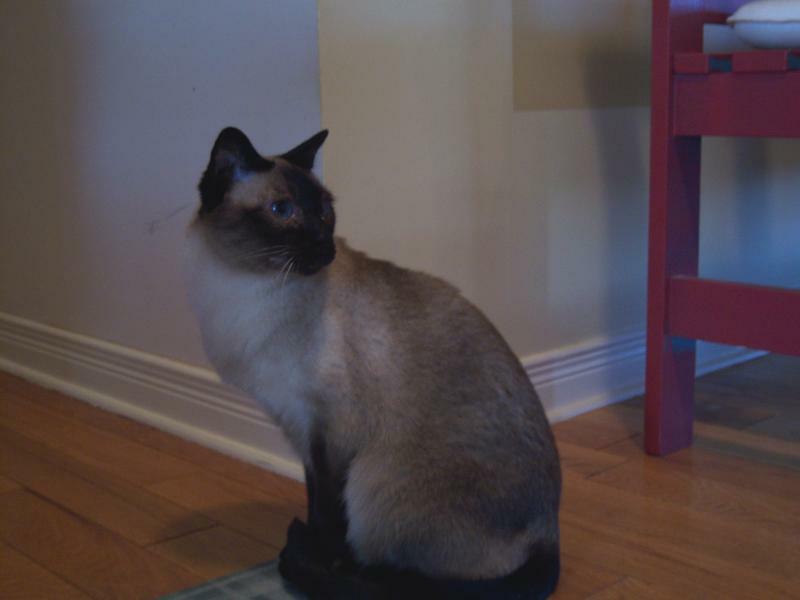 Our Siamese cat named Copain (french for ''Buddy'') was part of our lives for 16 wonderful years. It took a special cat to live in a house full of dogs. 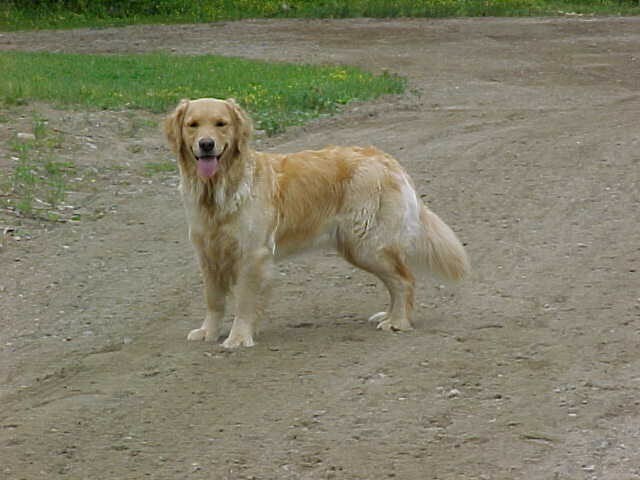 Copain enjoyed mostly the company of the quieter Goldens. He loved it when the dogs wagged their tails in front of him and he had the chance to swat at it a few times. We often found him with the dogs set up in the living room waiting together for us to get home. Just like an old bachelor that doesn't quite know how to deal with little ones, he prefered to stay away from the puppies of the household until they were a bit more mature.